Al-Zawahiri is running the group but is considered a divisive figure who lacks the…ability to galvanize al-Qaida’s disparate franchises. A U.S. official, who spoke on condition of anonymity to summarize the government’s intelligence on al-Rahman, said al-Rahman’s death will make it harder for Zawahiri to oversee what is considered an increasingly weakened organization. “Zawahiri needed Atiyah’s experience and connections to help manage al-Qaida,” the official said. Al-Rahman was killed Aug. 22 in the lawless Pakistani tribal region of Waziristan, according to a senior administration official, who also insisted on anonymity to discuss intelligence issues. … Al-Rahman has been thought to be dead before. 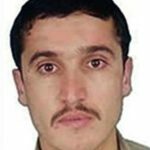 Last year, there were reports that [he] was killed in a drone strike; neither U.S. officials nor al-Qaida ever confirmed them. The officials who confirmed the death Saturday said it represented the consensus opinion of the U.S. government. Born in Libya, al-Rahman joined bin Laden as a teenager in Afghanistan to fight the Soviet Union. He once served as bin Laden’s personal emissary to Iran. Al-Rahman was allowed to move freely in and out of Iran as part of that arrangement and has been operating out of Waziristan for some time, officials have said. JOHANNESBURG – An environmental official says South Africa is considering halting rhinoceros trophy hunting as [criminals] abuse the system to illegally acquire rhino horn that is prized in Asian medicine. The warning came at a news conference Monday where Environment Minister Edna Molewa announced that poachers have killed 279 rhinos this year. The onslaught has continued despite the deployment of scores of troops. Molewa said 155 suspects have been arrested this year. Poaching has reached unprecedented highs as the price of rhino horn has surpassed that of gold. Vietnam has become a major destination for poached horn. Two Vietnamese were sentenced to long jail terms in South Africa this month after they were arrested with 20 rhino horns that had been illegally acquired from legal hunts. TRIPOLI – Col Muammar Gaddafi’s private airliner, until recently an international symbol of his iron grip on Libya, has become, for now, a leather-lined lounge for opposition forces holding Tripoli’s international airport. Yesterday the rebels took turns being photographed sitting in the deposed dictator’s bedroom or on well-upholstered sofas on board the Airbus A340, which Gaddafi bought for [almost $120 million] in 2003. Like everything Gaddafi owned, the aircraft is a showcase for his vulgar tastes, with armchairs bound in silver leather, red and grey carpets on the floor and nightclub-style spotlights all over the ceiling. The same aircraft became infamous the world over in 2009 when Gaddafi sent it to Glasgow, with his son Saif al-Islam on board, to bring home the Lockerbie bomber Abdelbaset Ali Mohmed al Megrahi, whose arrival in Tripoli was used as a propaganda showpiece by the former leader. Operated for Gaddafi by Tripoli-based Afriqiyah airways, the Airbus has been grounded since Nato imposed a no-fly zone over Libya six months ago, but has at least survived the fate of some of the airline’s other planes, which have been reduced to ashes after being hit by missiles. b) Read the two different points of view on the significance of al-Rahman’s death under “Background” below. Do you think the killing of al-Rahman by a U.S. drone will help to destroy al-Qaeda? Explain your answer. b) Legal rhinoceros trophy hunts in South Africa drew [$6.9 million] in revenue in 2009 (according to AFP). An environmental official says South Africa is considering a ban on rhinoceros trophy hunting. Would a complete ban on rhino hunting be the best way to stop poachers from killing rhinos for their expensive horns? Explain your answer. Which sentence from the news brief on Libya is an example of editorializing in a news report? NOTE: “Answers by Email” will resume September 6th. Sign-up below. SOUTH AFRICA: Read related article “Thieves Steal Fake Rhino Horns from British Museum” at startribune.com/world/128521793.html.